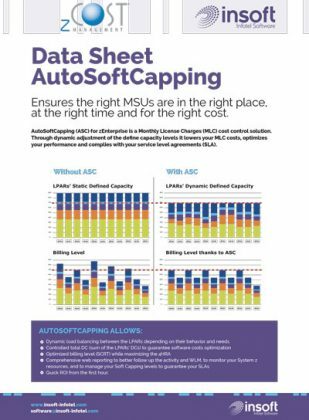 AutoSoftCapping automatically and dynamically adjusts your defined capacity level to deliver a lower Monthly License Charge bill. Our user-friendly MLC dashboard provides real-time activity tracking and instantly identifies opportunities for improvement. The combination of automated capacity management and detailed MSU monitoring frees up time for your mainframe experts to focus on other high value-added activities.